Of course, someone else's trash could start off looking like, well, trash, and some of the furniture you find second-hand might need a little TLC before it's ready to turn heads. 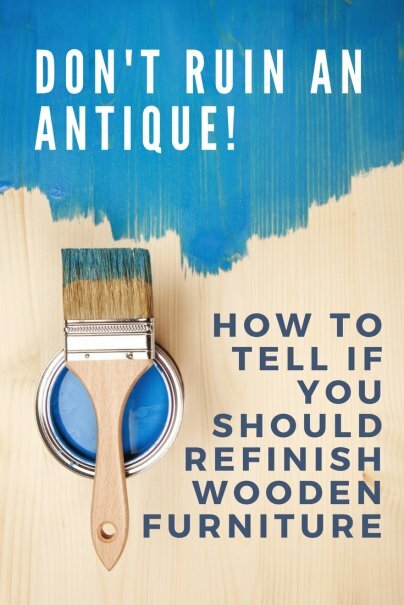 But is it a good idea to refinish your second-hand wood furniture? 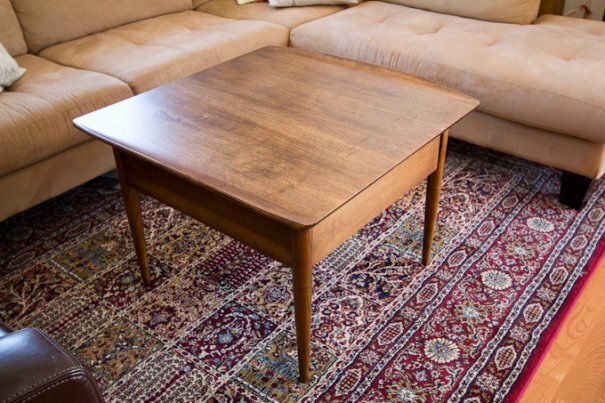 Read on to learn which types of furniture are good candidates for refinishing, and which are not. Some furniture is worth the effort, and some isn't. Some ostensibly "wood" furniture from the last three or four decades might look like wood, but actually is made of particleboard, MDF, or veneer over plywood. If it's a cheap mass-manufactured piece made of particleboard or MDF with a foil or laminate finish, don't bother refinishing, as it won't be worth your time, and even paint won't adhere well to the smooth, plastic-like surface (and is akin to putting lipstick on a pig). Some pieces made of plywood with a wood veneer over it can be refinished if the piece is sturdy and well-made, and the wood veneer has not been extensively damaged. You might be better off painting it rather than sanding it down and staining it, however, because the veneer might be too thin to accept much sanding. Another case where you should not refinish wood furniture is if the piece is a valuable antique or a unique designer piece that, although not an antique, nevertheless has a lot of value. It's always a good idea to look for any designer markings on old furniture and to do an Internet search on it before you refinish it. Antiques will diminish in value if refinished improperly, and your best bet is to contact a professional in antique furniture preservation. Lastly, if a piece of furniture has immense sentimental value, you might consider having a professional refinish it to avoid the inevitable amateur mistakes that happen on a DIY project. DIY gurus agree that sturdy, solid-wood, factory-made pieces from the 1850s to the 1960s are the best candidates for refinishing. Pieces of furniture from this window of time are not old enough to be truly valuable antiques, nor were they made during more modern times when cheaper materials and less sturdy manufacturing practices have been used. They're also (in general) mass-manufactured, so you won't potentially ruin someone's handmade labor of love by refinishing it. It's a great idea to become familiar with historical furniture styles from the 1850s to 1960s, such as the Victorian, Craftsman, and Scandinavian modern styles (also known as midcentury modern, or MCM). This will give you an idea of when any given piece of furniture was made. Look for details that show the quality of the manufacturing, such as tongue-and-groove and dovetail joints, which make for a much sturdier piece of furniture than simple fasteners such as nails and screws. Look at the inside and underside of a piece of furniture to see the quality of the wood used to build it (especially for painted wood furniture). Check for factory labels to see when the piece was built, and by whom. Once you've decided to refinish your furniture, you'll need to decide what kind of finish you want on it. Whether you paint or stain your piece depends on the look you're going for. 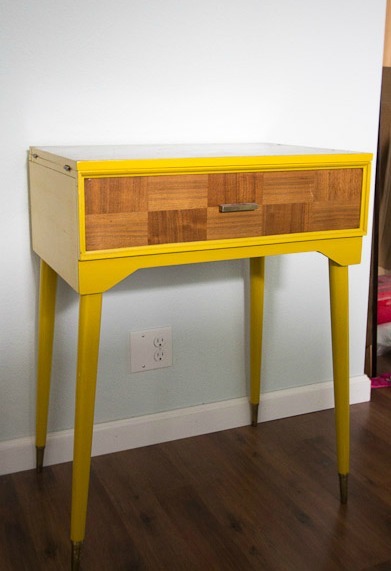 Some wood purists will tell you that you must never, ever, paint a solid wood piece of furniture. My personal opinion is that if you don't like it as it is, then change it. It's not worth it to live with something you don't like when you can easily paint it and make yourself happier. One thing to keep in mind is that a painted surface can be more vulnerable to chipping and heat damage (i.e. bubbling from setting a hot bowl on the surface) than stained and sealed surfaces — something to consider when refinishing a high-traffic piece. That being said, there is such a huge variety of paint finishes available — from hard, oil-based enamels to standard latex — that you will likely be able to find something durable enough for your needs. If your project is made of a thin wood veneer over plywood that will not take much sanding, or if the surface has sustained heavy damage and chipping and needs to be repaired with wood filler, then painting may be your best option, as paint covers over a multitude of sins. Once you've determined the finish you want, it's time to start preparing your furniture for its transformation! 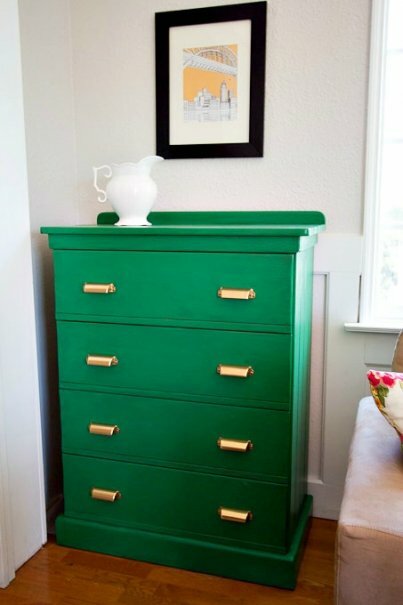 Do you have old furniture that you're planning to refinish? Have you tackled a project like this before?